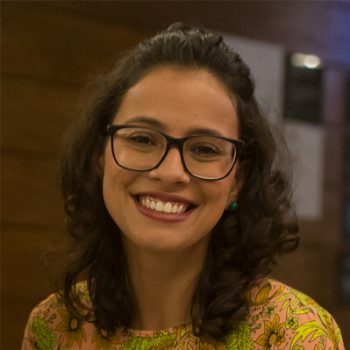 Flávia Sartori was born and raised in São Caetano do Sul, a city in the metropolitan region of São Paulo, Brazil. She came from an entrepreneurial family which means that by the age of 15 she was already working with her father and brother in their water and energy efficiency company. In 2014, she earned a Bachelor’s Degree in Journalism. In 2015, she left Brazil and for almost two years and she traveled alone around Europe doing volunteering work and improving language ​​skills. In 2018, she decided to work with social innovation and volunteered in Ashoka for 3 months where she later got hired. Now, she is in charge of the communications department of the organization. She became an Amani Fellow because she believes that being a changemaker is all about exploring our individual capacities and understanding our society’s problems with an open and wide vision to set up solutions with empathy through a social and global mindset.